One thing that will bring a family together are home cooked meals at the kitchen table. There is nothing better than gathering around yummy food, while conversing about life, with your family members. Unfortunately, feeding your family does not come cheap. Here are some great tips to help you feed your family on $50 this week, whether you are tight on cash, or just simply looking to be a little more frugal. Take inventory of what is already in your fridge, freezer, and pantry. I make a list using the inventory sheet from the Grocery Conqueror Kit, so that I have it as I sit down to make my shopping list and menu plan. No need to buy tomato sauce if you already have some in the pantry! I like to collect PC Optimum points because the points turn into cash that I can put towards my grocery bill. I just recently redeemed $30 so that was a nice chunk of change of of that grocery bill! 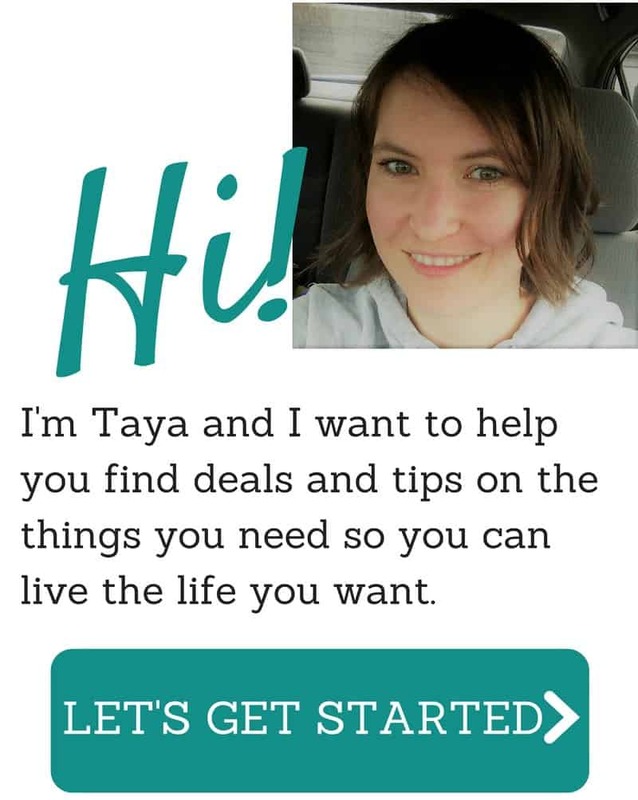 There are many other store reward programs out there that may be worth trying out if it means savings for you! I like Checkout 51, Snap by Groupon, and Caddle because I can just upload my receipt and go. I have 7 days from the time I shop to upload, and I can combine rebates from all 4 sites from 1 receipt to maximize savings! Being able to feed your family for less, means that you need to be willing to shop at different stores. If you are used to shopping at higher end grocery stores that generally charge more than say, Walmart or No Frills, consider stepping outside of your box, and head into a less costly store. Set aside your reasons and any ill feelings that you may have about those stores. You certainly will not regret it after leaving the store with a little extra change in your pocket! your meals around what is on sale and what you already have at home. When you have a tight food budget to stick to, you will find that rice and beans will become some of your favorite ingredients. Rice and beans generally do not have much flavor, so they can be added to almost any meal, even if it is just as a side that you season with salt and pepper. However, the other great thing about rice and beans is that they are cheap fillers in things like tacos, soup and chili! This means that you will feel fuller after eating them. Dry beans will be your best value, so don’t be afraid to use them! I’m in the thought camp that most meals can be frugal meals if you purchase the ingredients on sale. for example, meat. Don’t buy chicken breasts if the chicken thighs are on sale. Also, take a look at the 20 meal rotation I have been doing as our meal plan lately. I’d consider most meals on the list cheap and frugal! In our house, I have a rotation going of oatmeal, pancakes, French toast, scrambled eggs and cereal all served with fruit for breakfasts. Sounds time consuming, but it’s really not because once in a while we have breakfast for dinner (pancakes/French toast) and I freeze the leftovers. We can then pop them into the toaster for a super quick, filling breakfast! Same sort of idea for lunches. Sandwiches, grilled cheese, soup, leftovers… Dinner is where most of the variety comes from! Who wants leftovers? Most people generally are not fond of reheated meals the following day. However, eating leftovers is a great way to help you stick to your weekly food budget. If your family cannot handle the same meal twice in one week consider turning your leftovers into a new meal by turning it into a soup or stew, or adding new flavors or vegetables to it. Taco Tuesday can become taco salad (or taco soup) Wednesday. I especially love to freeze leftovers like spaghetti sauce. Makes for a super easy meal on a rushed night. 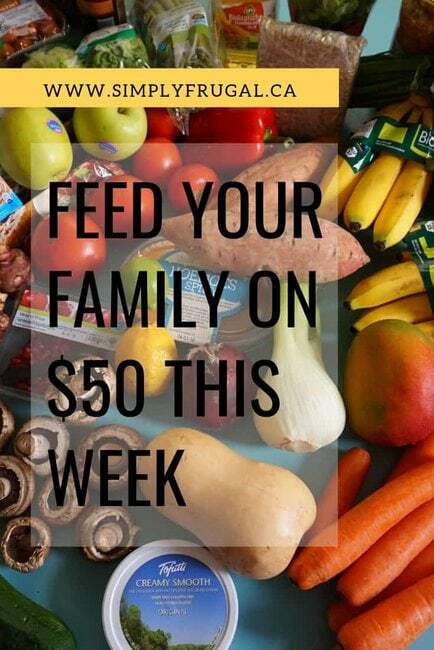 Feeding your family on $50 this week really comes down to being creative as much as it does frugal. People do what they have to do to survive and you, my friend, can totally make this work for your family. What tips do you have to add? The Grocery Conqueror Printable Kit contains over 50+ pages to help you organize your kitchen, streamline your meal planning and grocery shopping tasks. Ultimately enabling you to create a more organized kitchen, thus saving you money on your grocery bill.